We got a write in LCT Magazine, check it out! Let start with one first, very important observation: Falcon wing doors. Tesla’s super-sleek, all-electric SUV has three rows of seats, and if you’re clambering into the back rows, you’ll step under the car’s most jaw-dropping feature: double-hinged doors that open straight above you. Welcome to the future. What’s the big deal with this Tesla? The Model X’s good looks aren’t the only leap toward futuristic transportation. It’s no secret that electric vehicles are environmentally sustainable, and Tesla is making strides to get more on the road with advent of consumer-friendly (and, let’s face it, attractive) all-electric vehicles. Consumer Reports previously crowned the uber-green Model X with the title of most fuel-efficient SUV, and for obvious reasons: City and highway eMPG clock in at 90 and 94 respectively, making Tesla’s car three times more efficient than the next SUV down the line. It’s a solid choice for sustainable, alternative transportation, and a welcome addition to the roads of Phoenix (more on this soon). 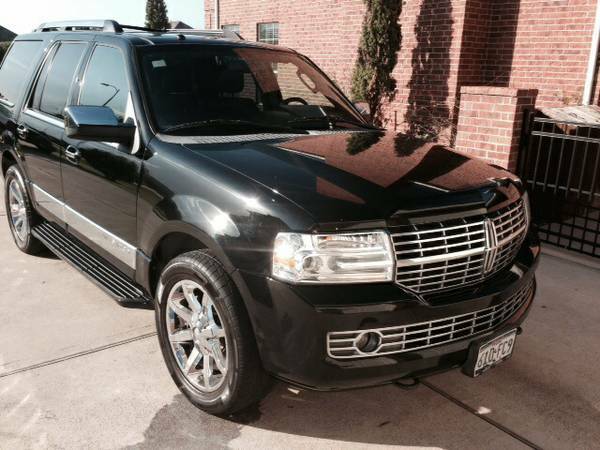 That shiny exterior also harbors the highest safety ratings among luxury SUVs. The Model X sports self-driving hardware, a strengthened structure against impact crashes, collision avoidance, and a system to prevent rollovers. You’re in good, electronic hands. 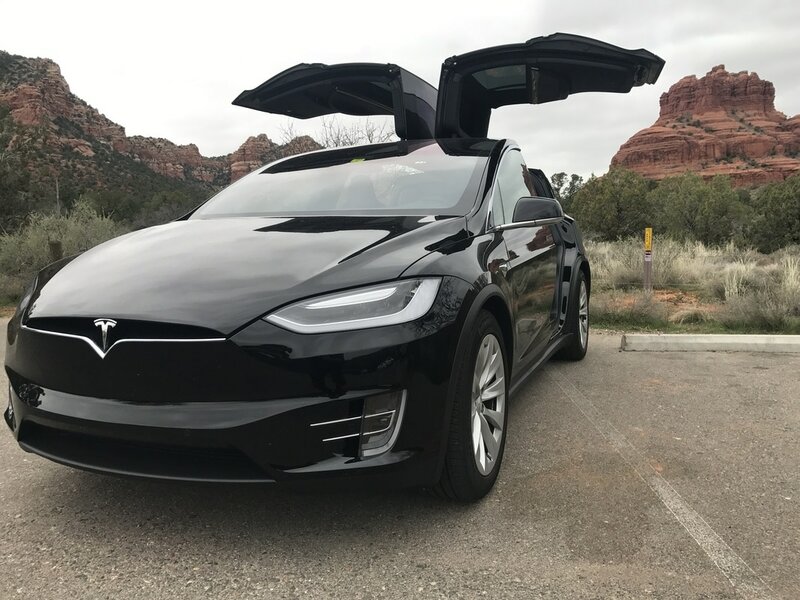 So, where can you hit the road in the Model X in Phoenix? If you’re ready for a ride right now, we’ve got good news--you won’t have to foot the $110,000 price tag to take a spin. Locally-owned and operated Lux Rides just added the latest Tesla car to their fleet of luxury vehicles, so for everything from an airport pickup, executive transport or a pre-game ride with friends out to the stadium or the night’s big concert, you’ve got the Model X at your beck and call. (Tip: All vehicles registered with Lux Rides operate as limos for licensing purposes, so open container laws do not apply. That’s code for BYOB). Lux Rides is the first and only fully licensed and commercially insured transportation service with the Model X right now, so hit them up soon for availability. If you know you’re ready to go, reservations can be made online, or you can grab a quote for your desired chauffeured outing. The brains behind this local small business is Johnny & Lily McBride. With 15 years of experience in hospitality, they’ve got customer service as a top priority for their network of drivers. You can schedule a ride in advance and know you’ll be taken care of—with no uncertainty of changing rates or variable pick-up times. While they specialize in executive transportation, they’re also ready for whatever outing you have in mind throughout Metro Phoenix: Think prom, a night on the town, quinceañeras or weddings. And if you’re already dressed to impress, imagine rolling up in the Tesla Model X. Did you already forget about those falcon wing doors? We haven’t. 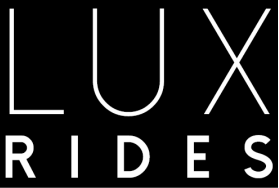 Lux Rides is offering it's luxury transportation service in Phoenix, Scottsdale, Paradise Valley, Moon Valley, Tempe, Glendale for the same price as a cab + tip. Use the TaxiFareFinder tool on our website to estimate your fare. 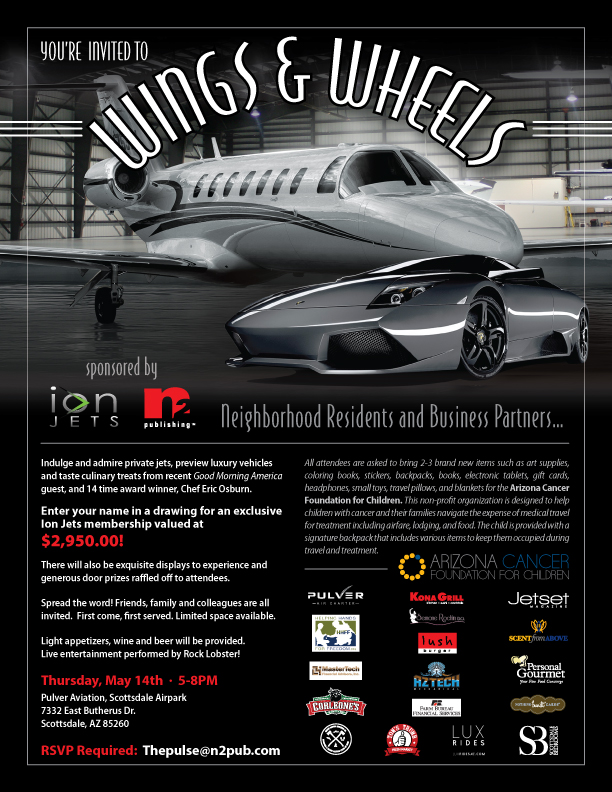 Then send us an email with the details to Johnny@luxridesaz.com or text or call us 602-456-1320 to schedule your ride!